In the 1920's, NOTORO and KAMOI began their IJN service as fleet oilers. They were later converted to seaplane carrier/tankers. Both NOTORO's and KAMOI's Type 95 Kawanishi E8N2 “Dave” floatplanes saw combat in China. NOTORO was rerated an oiler in 1942 and KAMOI was rerated an oiler in 1944. 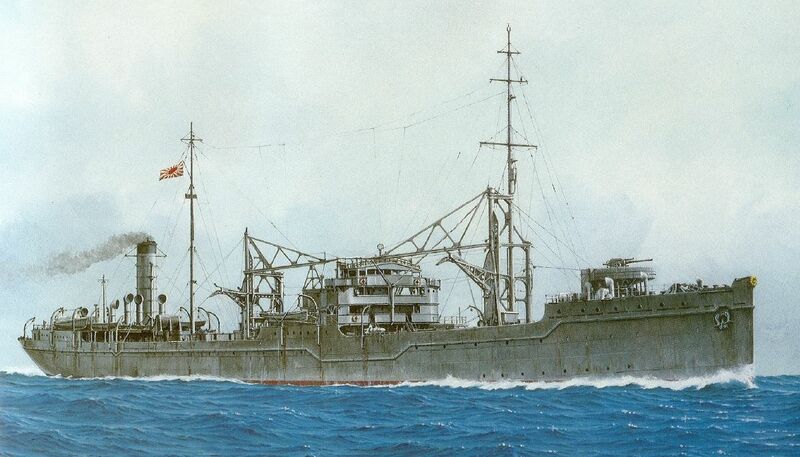 In 1937, in response to the Sino-Japanese conflict, three conversions of merchant ships were ordered. These were KAMIKAWA, KAGU and KINUGASA MARUs. KAGU and KINUGASA MARUs were in operation in as seaplane tenders in 1938. They were rerated transports before the start of the Pacific War. KAMIKAWA MARU was converted to seaplane tender in 1939 and remained a tender until her loss in 1943. In 1941, five more conversions were ordered. These were KIMIKAWA, KIYOKAWA, SANYO, SAGARA, SANUKI and KUNIKAWA MARUs. SAGARA and SANUKI MARUs were rerated transports in 1942 while the KIYOKAWA, SANYO, KIMIKAWA and KUNIKAWA MARUs were rerated transports in 1943. The IJN used their floatplane types extensively. They were employed in the traditional reconnaissance role and performed as fighters, fighter-bombers and shell spotters, as antisubmarine escorts and carried out search and rescue duties. Sander Kingsepp, a native of Estonia, is also a military historian and researcher. A talented linguist, Sander's translations of Japanese source materials have greatly enhanced these TROMs. Allan Alsleben is a military historian and researcher. He resides in Oregon. Peter Cundall is a historian and researcher. He specializes in merchant ships and resides in Australia and works in the marine industry.